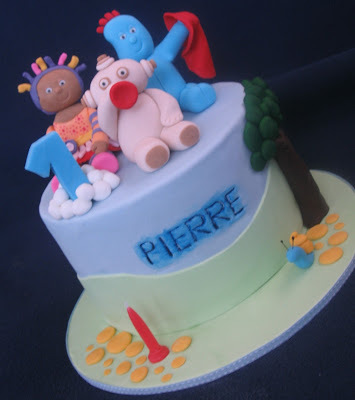 Earlier in the year I was priveledged to make a christening cake for little Pierre and the time has now come to celebrate his 1st birthday! 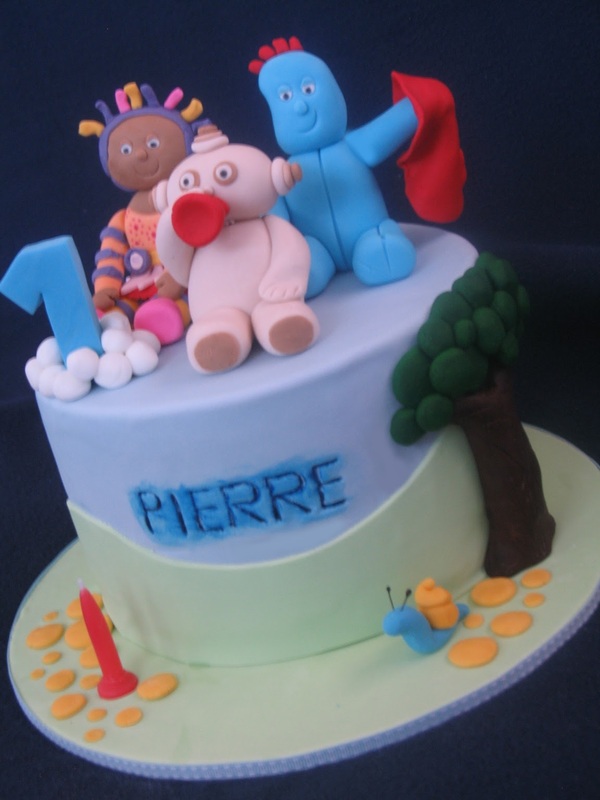 Pierre loves to watch In The Night Garden as alot of kids do! This little cake has his favourite characters on top as well as his embossed name and some of the familiar scenery. The cake is chocolate mud with dark chocolate ganache. 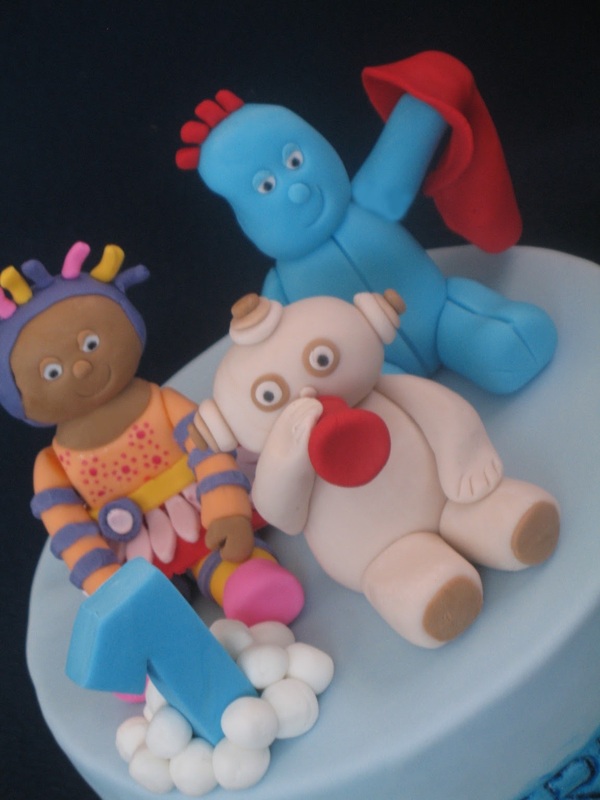 The much loved characters together.